Elon Musk sees no option but to keep working at his current relentless pace, no matter the deepening concerns of board members and investors about his health and stability as he propels Tesla Inc. toward a possible rebirth as a private company. Only a few hours before sunrise in California on Sunday, Musk said he’d just gotten home from the electric-car factory where he has toiled -- and often slept -- for months to ramp up Model 3 sedan production. The chief executive officer rebutted a post from digital-media mogul Arianna Huffington, who had urged him to take time off lest he fall short of his ambitions to change the world. Sorry, Musk wrote around 2:30 a.m.: “It is not” an option. The exchange underscores Musk’s determination to lead Tesla through the turmoil that accelerated after his Aug. 7 tweet suggesting he’d secured funding to take the firm private at US$420 a share. 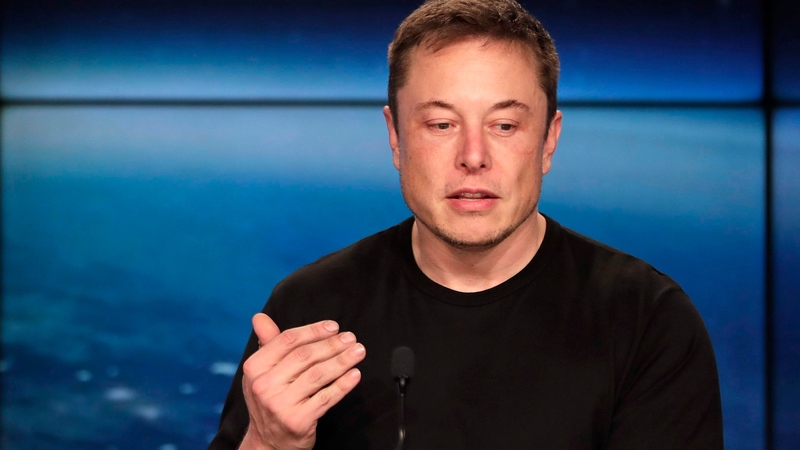 Rather than soaring toward that value, the stock has since plummeted 20 per cent -- dipping blow US$300 in early trading Monday -- amid an unraveling of parts of Musk’s story unravel and mounting pressure on Tesla’s board for its handling of the iconic CEO. Nothing will get easier this week as he and Tesla’s board align with their separate sets of legal and financial advisers, all amid inquiries from U.S. securities regulators. On Sunday, the picture became a little more complicated. Saudi Arabia’s sovereign wealth fund -- the very investor that Musk described as a linchpin of his plan to take Tesla private -- was reported by Reuters to consider buying a stake in another U.S. electric-car company. The Saudis’ Public Investment Fund, which recently bought an almost 5 per cent holding in Tesla, was reported to be in talks for a separate US$1 billion investment in Lucid Motors Inc. that would give the fund control of that fledgling automaker. A Lucid spokeswoman declined to comment, and representatives for the Saudi fund couldn’t immediately be reached for comment on the Reuters report, which cited people familiar with the talks without identifying them. While Tesla and Lucid aren’t at all on the same level -- Lucid has only shown electric-car prototypes, whereas Tesla produces thousands of cars a month -- the prospect of controlling Lucid may have appeal to the Saudis. Part of their goal is to diversify away from the oil industry. Tesla has marketed its top-of-the-line models that boast head-snapping acceleration as having “Insane” and “Ludicrous” modes. But features some consumers may want in an automobile aren’t necessarily sustainable in an automobile executive. Tesla shares plummeted Friday by the most in two years, closing at US$305.50, after the New York Times published an interview in which Musk described the past 12 months as “the most difficult and painful year of my career.” References to Ambien use and driving while tweeting are fueling calls for Tesla’s board to step up its oversight of the CEO, chairman and largest shareholder. The shares declined another 1.8 per cent to US$300 as of 5:46 a.m. New York time before regular trading. An open letter from Huffington, a board member at Uber Technologies Inc., to Musk accused him of “demonstrating a wildly outdated, anti-scientific and horribly inefficient way of using human energy.” She added in a tweet that the Tesla founder should change the way he works. In his interview with the Times, Musk said he sacrificed family milestones in the race to meet Tesla production targets. Still, the Tesla CEO tweeted that Ford Motor Co. and Tesla are the only two American car companies to have avoided bankruptcy, and dismissed the idea that he was able to cut his workload. Musk’s already chaotic world blew up again when he tweeted this month that he had “funding secured” to take Tesla private. He later said that meetings with Saudi Arabia’s sovereign wealth fund had given him confidence to announce the news, and announced that he had tapped Goldman Sachs Group Inc. and Silver Lake to assist with the plan. Last week, the Securities and Exchange Commission sent the company a subpoena regarding the statement. It’s unlikely Musk has lost much sleep over concerns about Newark, California-based Lucid Motors. While its prototype Lucid Air sedan has been well-received, it’s unclear whether the company has the funding to get production going. Lucid’s website is taking refundable US$2,500 deposits for the vehicles it plans to eventually sell. What do you think of Elon Musk’s extreme work schedule?